Iva Bittová is a rare talent. She has developed a personal idiom and vocabulary that is almost entirely her own. Her sound, her very personal language, forged from the union of violin and voice, cannot be categorized yet is immediately recognizable. Bittová is, quite simply, inimitable. Though she is not the first artist to create a hybrid language that draws from different roots, nobody has forged quite the same path as Bittová. Her artistic idiosyncrasies and virtuosity as a singer often draw comparison to Icelandic singer-songwriter Björk, though Norwegian Sami singer Mari Boine and Portuguese singer Maria Joao may also serve as references to some degree. 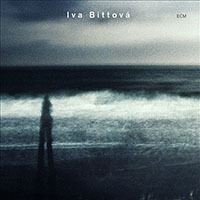 Bittová's innovative techniques with both voice and violin, her attraction to minimalism, and her multi-disciplinary career perhaps draw closest comparison to another all-rounder, Meredith Monk. However, it is unknown whether Monk has ever used a ping-pong ball as an objet trouvé to alter her voice, as Bittová has done on occasion. In the end, these comparisons hardly matter. Bittová's performances, whether solo or accompanied, contain a dramaturgy that is every bit as natural as her improvisations. It is impossible to separate the actor from the musician, the entertainer from the artist. "In the language of an actor, to know is synonymous with to feel," notes Russian actor and theater director Constantin Stanislavski, and feeling is at the core of Bittová's expression, whatever setting she may find herself in. Clarinetist Evan Ziporyn, who first played with Bittová when she collaborated with the celebrated New York ensemble Bang on a Can in 2000, observes: "When Iva first appeared in the U.S., I think there was some sense that here was this deeply Eastern European music, but I don't think it's that; she's a cosmopolitan person. She was very much in the center of Czech urban culture. She was a film star and kind of a pop star. She knows jazz, she knows rock 'n' roll, she knows classical musicshe knows Janáček and she knows Mozart. Hers is an honest hybrid music that just reflects all of her musical experiences. She's not putting up any boundaries. She just responds to the whole sonic fabric of the moment." Responding to the sonic fabric of the moment comes close to capturing Bittová's unique gift. One need only watch Bittová's original interpretation of the jazz standard "My Funny Valentine" at the Isole Che Parlano festival in Sardinia, 2011 (available on YouTube), to gain a sense of the in-the moment essence of Bittová's art. The megalithic, Bronze-Age Tomba dei Giganti provides the ideal setting for the singer's performance. Bittová seems to draw energy and inspiration from the silence that enfolds her and that frames her almost Shakespearean drama. Bittová conveys her feeling for Richard Rogers' tune and Lorenzo Hart's lyrics in gesticulations and body language that exude balletic grace and theatrical magnetism. Her voice runs a gamut of emotions, from susurrus, lullaby-delivery to the ululations and cries of a tortured soul. It's a performance that transcends genre. The small crowd, mere feet away, is spellbound by the singer's seductive and sometimes startling idiom. Bittová's improvisations would no doubt have been a bit too avant-garde for the crowds who flocked to see the 1937 musical "Babes in Arms," which introduced "My Funny Valentine" to the world. In Europe, in another century, her performance might have brought forward accusations of demonic possession. But at the Tomba dei Giganti her performance inspires wonder. To borrow from Meredith Monk, Bittová's voice dances and her body sings. 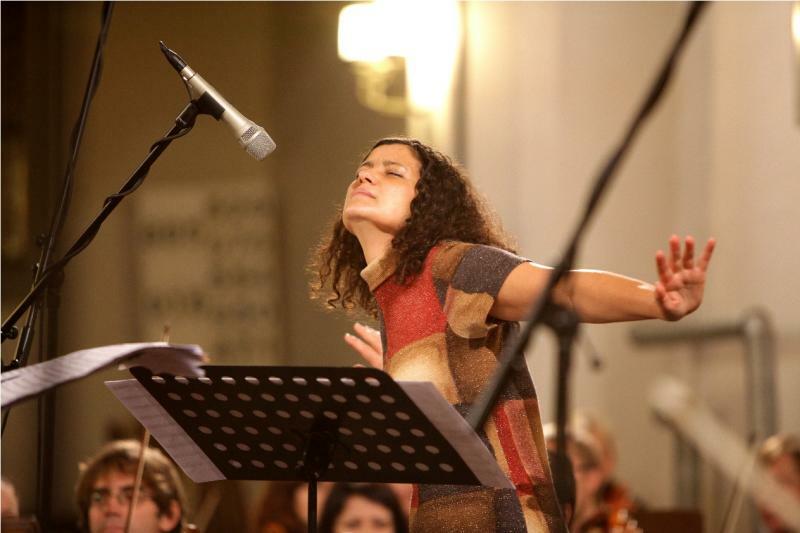 Even in the early twenty-first century, however, Bittová's more outré music may initially dissuade people more used to mainstream music, but Ziporyn, who also currently plays with Bittová and guitarist Giyan Riley in the trio Eviyan, has seen Bittová's powers of musical persuasion firsthand: "The thing about Iva is that what she's doing is so transparent and so real that everybody gets it. I've performed with her in front of classical audiences, avant-garde audiences, and indie rock audiences. Everybody understands what she's doing because it's deeply personal; it's connected to the core values of music.